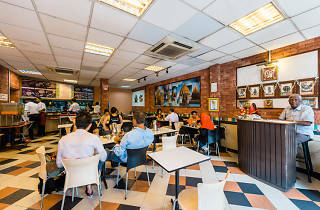 For what it’s worth, Prime Minister Lee Hsien Loong and his wife frequent this vegetarian eatery – we were told they were there just days before we visited. 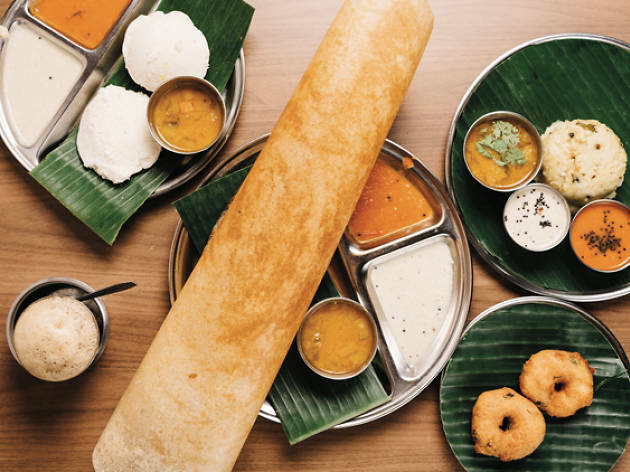 Madras New Woodlands serves predominantly South Indian dishes that are lighter than your average greasy piece of prata. 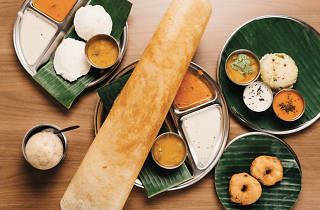 Try pongal, a sticky mix of rice and lentils cooked in milk and served with three sauces. You’re supposed to mix them all together and eat it in one go. 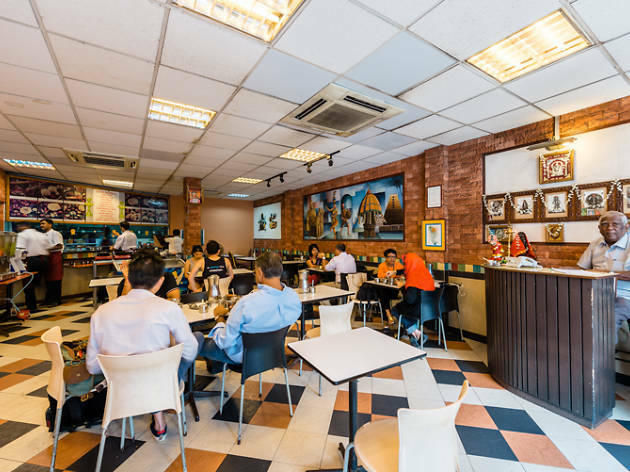 The paper thosai is also popular – light and crispy, it retains its crunch even after being drenched in curry.